Cosmovisiones Ancestrales is fundraising to send two members in the United States to Huautla de Jimenez to document the festival that will commemorate the 123rd anniversary of Maria Sabina's birthdate. 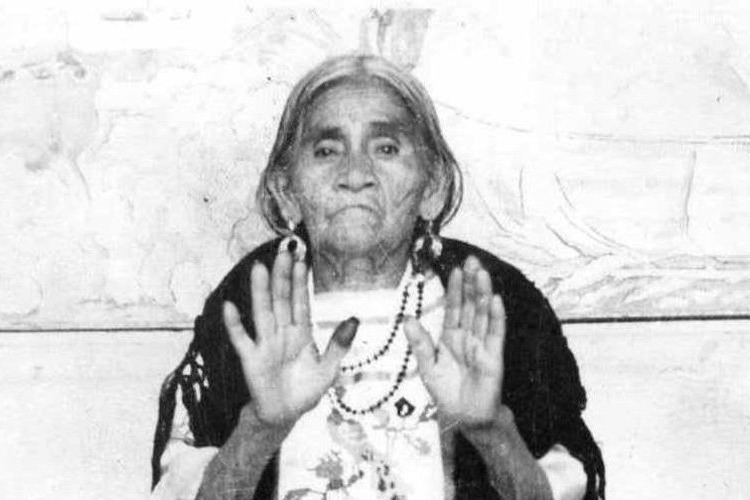 Maria Sabina is the Mazatec priestess that introduced the psilocybin mushroom to the modern Western world. Cosmovisiones Ancestrales is building up a campaign to support Inti Flores Garcia, who is the steward of the most comprehensive archive of Maria Sabina's life. Inti lacks access to technologies that can preserve the content of the archive so the archive is at risk of becoming damaged from age. Cosmovisiones Ancestrales wishes to cover the festival and produce media that will boost our campaign to fundraise for Inti's archival work. Inti wishes to write and publish a comprehensive book on the untold history of Maria Sabina, who is a worldwide icon that the world actually knows very little about. We believe that visibilizing this crucial part of history will serve the purpose of legalizing psilocybin medicine for post traumatic stress disorder, obsessive compulsive disorder, anxiety, depression, and other mental health conditions. Cosmovisiones Ancestrales will use this opportunity to support Inti's goal of having UNESCO recognize the Huautla psilocybin mushroom as cultural patrimony and as sacred medicine for all of humanity.